Is moving the furniture around at home just not doing it for you anymore? Do you need to spice up your living space when you walk through your front door? 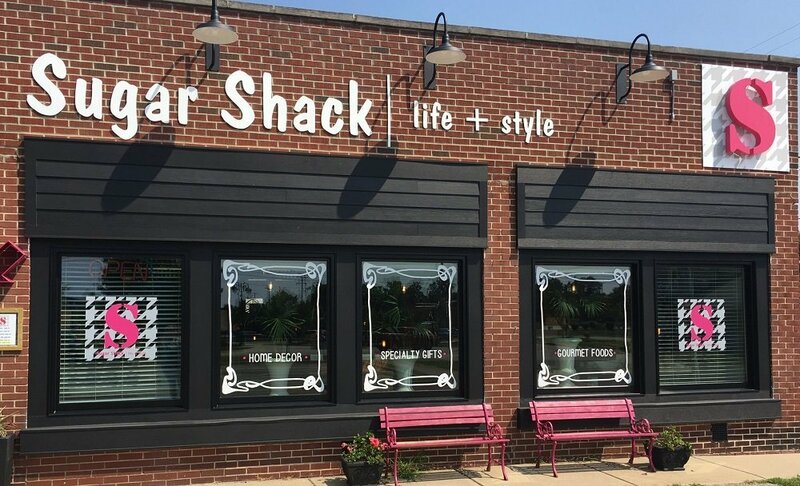 Take a stroll to downtown Fenton and make a quick stop in the Sugar Shack! 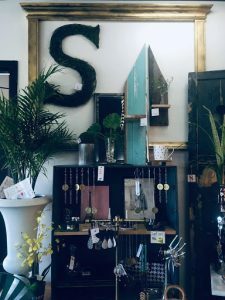 Check out Shawn and Michael Hall’s vintage and trendy home décor items to add a unique touch of style to your everyday life. When you first walk in the Sugar Shack, you will smell a mix of light and lovely scents. There is also a touch of faint classical music in the background as you saunter around. The Sugar Shack has a special knack for making you feel like you are right at home. They offer all Michigan made products from home décor items to even bridal gifts and goodies. They also sell lady’s jewelry and accessories. Shawn and Michael believe it is important to help support other small businesses and their crafts by selling goods from other artists as well. They would love you to network with them if you would like some help getting your brand out there too. 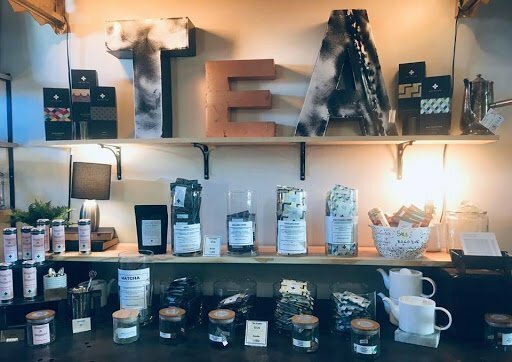 The Sugar Shack also holds a small collection of gourmet foods such as raw clean honey, tasty jams, smooth homemade chocolates, unique tea flavors and much more. Taking a whiff of their tea samples I was blown away by the aroma of each flavor. On my way out, I made sure to grab a jar of berry and rose conserve. It is handmade with Michigan strawberries, red raspberries, and even rose petals. Yummy! Missing a friend from out of town? Shawn and Michael even make Fenton Michigan postcards so you can send out a friendly hello to your loved ones in a more meaningful and traditional way. They also offer “get well” cards, birthday, baby shower and just because greeting cards to give each shopper the chance to make someone important feel special. If you prefer natural and organic personal care items look no further. The Sugar Shack has goats milk soap, homemade lotions and more. Do you like beeswax products? This is the place to find them. Shawn and Michael also host private and group social nights twice a month. These classes help inspire creativity. Sign up, and you will get the chance to learn their inside secrets of entertaining like a pro chef in your own home. This is a fun way to get close friends or family together or just meet some new folks in the community. Shawn and Michael Hall were both chefs by trade with over 30 years of experience. Due to their culinary background and love for home décor design, they decided to start their business. 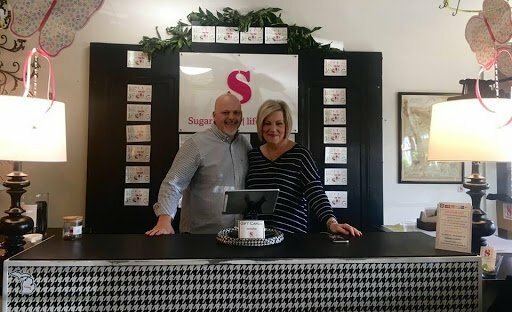 In October 2014 they officially founded their business and called it the Sugar Shack. The Hall’s started off selling their products exclusively online and began marketing themselves through social media. They opened their store, located in downtown Fenton, in March of last year. They proudly take on the classification of a boutique, which is how they are known to their followers. Online at www.sugarshackstudiomichigan.com/ and on Facebook at https://www.facebook.com/sugarshackofmichigan/.